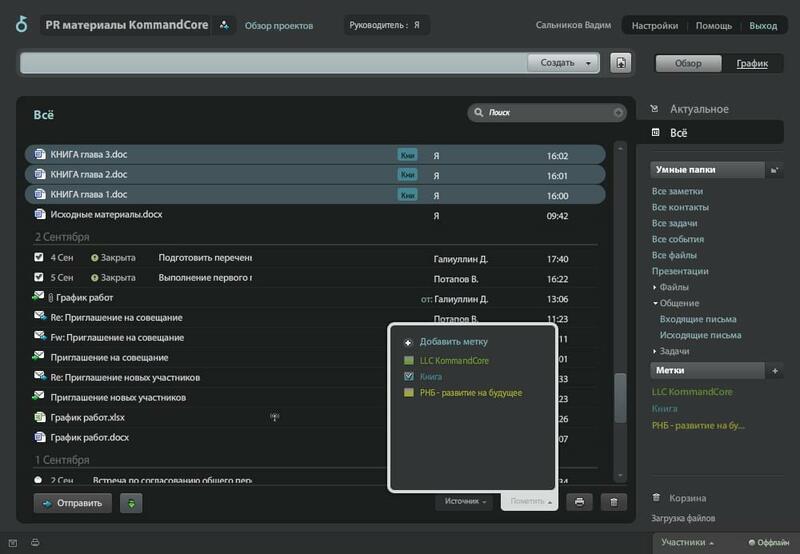 KommandCore, a Russian company that was founded in 2008, sees itself as creating a separate world for each of its business clients. Within each distinct environment, KommandCore’s online project management tools function to improve existing business processes such as team project management, customer relations, and horizontal communications: defined as the exchange of information between departments for the purpose of directing and coordinating their efforts. KommandCore’s online project management tools include standard project management features comparable to similar services offered by other companies. These include tasks, to-do lists, internal email, etc. However, KommandCore’s business and project management software includes more unique features such as external email integration, chat, file previews in any format and a “hot line” connection with the KommandCore support. KommandCore’s services are intended for use by small and mid-sized businesses. Primarily, these businesses include service companies, IT companies, and engineering, construction and other project-centric management outfits. Such businesses are typically dependent upon a diverse range of functions working together in a streamlined fashion within one application. KommandCore products accomplish this because they are, as the company describes: “agile.” The software is designed for and by project managers, with an intuitive interface that doesn’t sacrifice an ounce of functionality. UPDATE: As of 10/13/14, the KommandCore domain appears to have been hacked. At this time, this product is NOT recommended. We will monitor the situation and update this page if and when the situation changes. Learn everything you need to know about KommandCore. Our experts will reach out to you shortly.